You Can't Change the Color of Mailbox Folders in Mac Mail but You CAN Add Emoji as Icons to the Mailbox Names! You Can’t Change the Color of Mailbox Folders in Mac Mail but You CAN Add Emoji as Icons to the Mailbox Names! 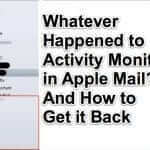 Lots of people want to change the color of individual mailbox folders on their Mac in the Mail app, in order to quickly and visually distinguish one mail folder from another. Despite dozens, if not hundreds, of threads looking for this option on the Mac forums, it has never been added as a feature. But there is a way that you can do something just as good – in fact we think better! – to visually distinguish mailbox folders in your Mac mail app program! So just what is this method for making the mail folders on your Mac visually distinguishable from each other? Well, did you know that you can add emoji as an icon to the name of a mailbox folder?? Check it out! 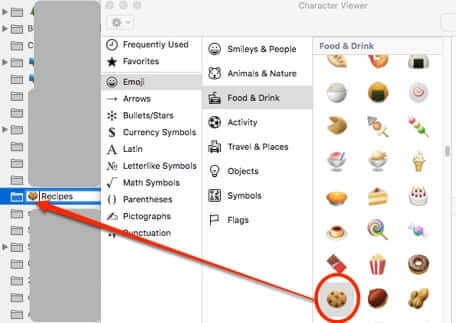 First, you need to know how to bring up the emoji viewer on your Mac. 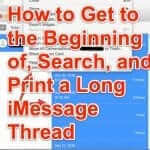 Now, in most regular places where your Mac would be expecting you to insert an emoji (say, in iMessage, or in an email) you can bring up the emoji viewer and inserter by simply pressing command+control+spacebar, and then you double-click on the emoji you want to insert it into your text. However, for some reason when renaming your mail folders, that doesn’t work. So you will need to go up to your menu bar on your Mac, and click on the little flag which represents the country of origin for your keyboard’s language – because that is actually where your keyboard menu is. 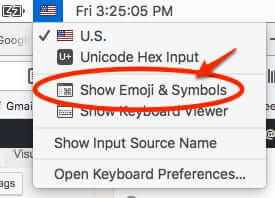 Click on the flag to get the dropdown menu, and click on Show Emoji & Symbols. If you don’t see the flag on your menu bar, it means that you need to enable showing it. 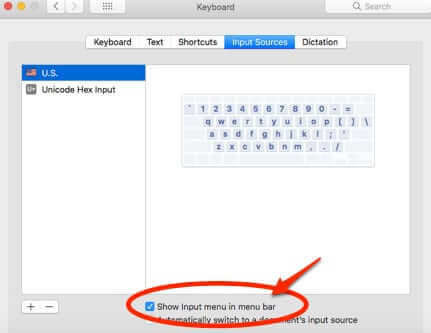 To do this go to Preferences > Keyboard > Input Sources, and tick the checkbox labelled ‘Show Input menu in menu bar’. 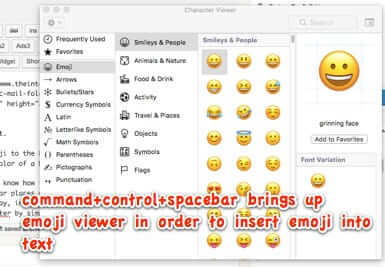 This will display that keyboard flag on your menu bar so that you can bring up the emoji viewer. Now, go to your mail folder sidebar in the Mail app. 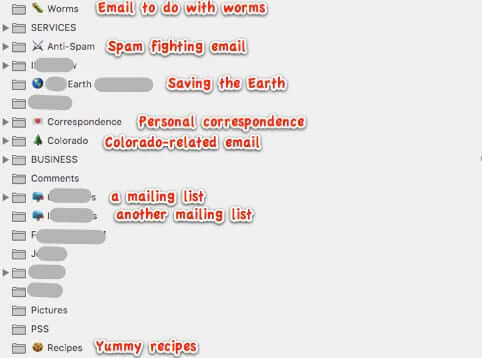 To be able to edit a mail folder’s name, you can either double click on the mail folder’s name, or control-click on the mail folder’s name and select ‘Rename Mailbox’. OR, you can alt/option click on it which will take you to the editing field of the mailbox folder directly. 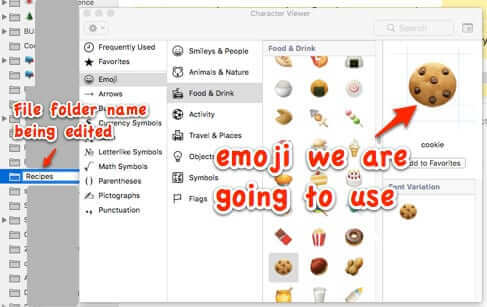 Now bring up the emoji viewer and inserter, and decide which emoji you want to use to designate that mailbox folder. 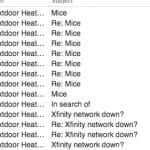 Because this is our Recipes email folder, we are going to use a cookie. Simply double click on the emoji, and it will insert it into the folder name wherever you have positioned the cursor! To save your new, emojified mailbox folder name, just click anywhere outside of that name. You Can't Change the Color of Mailbox Folders in Mac Mail but You CAN Do This! 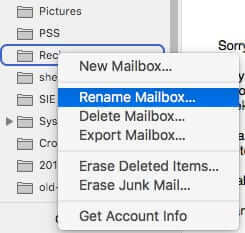 Lots of people want to change the color of individual mailbox folders on their Mac in the Mail app, in order to quickly and visually distinguish one mail folder from another. Despite dozens, if not hundreds, of threads looking for this option on the Mac forums, it has never been added as a feature. But there is a way that you can do something just as good - in fact we think better! - to visually distinguish mailbox folders in your Mac mail app program! You can use emoji as icons in your mailbox names! Prev New “NOTIFICATION – Storage Full” Phishing Spam – Don’t Be Fooled! Next Amazon Accused of Cloning Vendor Products and Undercutting Them: Time for Antitrust Breakup of Amazon? Hi Mark! So very glad that you found it helpful! Some smart person has figured out how to do what Apple won’t do for its customers. Hooray for whoever posted this solution.